For any sales leader, making sure the right person is hired is the number one priority. Time, money and effort is put into making the decision – after all, the wrong sales hire will not only lose business, but also have a detrimental effect on the existing team dynamics. Start up companies carry the added risk that the wrong behaviour by a new hire can upset early adopting customers or newly signed channels. However, while significant attention to detail is invested at the recruitment stage, the on-boarding process can be given less effort: and it’s this that often causes hiring failures. 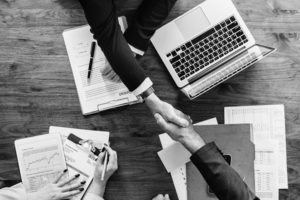 There are a number of factors that can impact the successful integration of a new sales team member, but there are a few recurring situations we see. In the first instance, there’s a common assumption that by hiring someone with experience they will be able to jump straight in and get on with it. However, this simply isn’t the case. Every sales role is different and at the very least guidance will be needed in order to ensure the new hire follows your company’s specific procedures. Then of course there’s the need to help individuals integrate into the existing team structure. Without this controlled on-boarding, professionals with any level of experience are likely to lose their motivation and both the new hire and the leader begin to question if the right move was made. There’s also an inherent lack of sales-based on-boarding which focuses on the exchange of vital information such as what exactly makes the firm’s customers buy and what triggers their buying decision. Again, even those experienced sales professionals will need this level of knowledge sharing as every company is different and customer profiles vary – a fact that is easy to overlook for those already in the sales team. Finally, while leaders might be involved in the initial hiring process, it’s common for them to be remotely located from new hires, making it tricky to provide the level of management that is often needed in the first 90 days of employment. This can lead to confusion and a possible dip in momentum that will again have a negative impact on the new sales team member and the hiring manager alike. While all of the above are scenarios that we commonly see, we’re not suggesting that hirers are or companies are failing in their employment programmes. It’s much more the lack of business focussed, personalised, role specific on-boarding plan with clear milestones in the early weeks of a new hire’s job. And with quarterly sales targets to meet, leaders are naturally distracted from the training needs of a new hire. It’s for this reason that we have developed our success accelerator programme which helps newly hired sales team members integrate into their role and become successful much faster. This 90-day course provides a clear and cohesive action plan for new staff and hiring managers, with precise KPI’s and targets outlined in order to ensure a new placement is not only successful, but also that results are seen quickly. Find out more about our success accelerator programme.